Fashion-forward and unfiltered, co- hosts Samantha Goldberg (The Style Network, E!) and Mario Lopez (Extra TV), will take the celebrity-studded Inaugural Classic New York City Gala by storm with candid interviews and trending fashion do’s and don’ts, on the red carpet. The Classic New York Gala will be held on Sept. 22, 2018 at The Millennium Hilton New York One UN Plaza Hotel. The black tie affair centers on unity and the humanitarian efforts of the Global Unity Foundation. Together, Goldberg and Lopez will tap into the fashion, arts, community. The event will additionally feature the announcement of the new brand spokesmodels for the Classic New York Beer with a red carpet, VIP reception, live entertainment, auction, fashion show, and celebrity poker tournament. The Gala is presented by Classic New York Beer and The 1 Wine, spirits brands founded by Chinese American self-made real estate mogul and philanthropist, Gary Kong . Kong is the winner of the Outstanding Community Service Award in both 2014 and 2018, presented to him by President Barack Obama and President Trump, respectively. 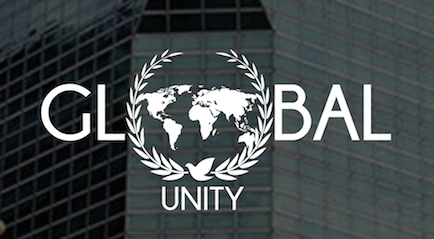 Global Unity Foundation‘s mission is to unite the world through humanitarian efforts by working with governments, influential individuals, and organizations to support the eradication of poverty, the advancement of health and wellness, the creation of economic sustainability, and the promotion of universal quality education and opportunity.